Coloring page with a parallelepiped, for school and preschool children and all who like the geometry. 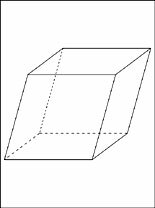 Pictures and drawings with a three-dimensional figure parallelepiped printable page to color for free. 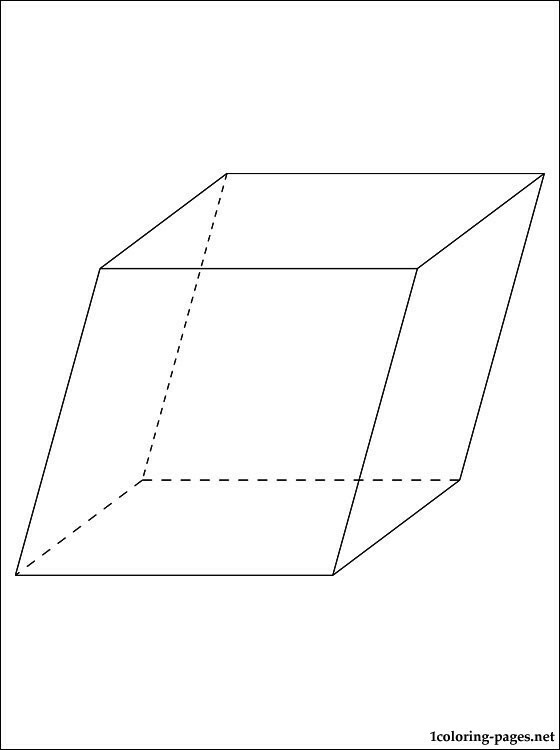 Parallelepiped is a prism of which the base is a parallelogram or hexahedron with three pairs of parallel faces, or polyhedron with six faces (hexahedron), each of which is a parallelogram.